The skyline at the Port of Gladstone will be noticeably different as of today, Wednesday 15 February 2012 with NSS celebrating the delivery of the Liebherr Mobile Harbour Crane (LHM 550 Litronic), the latest addition to our fleet of advanced port equipment. The acquisition of this new lifting technology was sparked by a significant increase in demand for our stevedoring, transport and logistics services in the region. As the largest cargo handler in regional Queensland, this proactive move demonstrates NSS’ commitment to the Gladstone area and ensures that we lead as a provider of premium services to our clients. The LHM 550 Litronic is set to change stevedoring in Queensland with its ability to carry loads up to 150 tonnes. Thus, making NSS the ultimate choice for handling heavy-lift and oversized project cargoes required for large scale LNG, mining and construction projects. This crane, the largest, newest and fastest of its kind in Australia, opens doors forNSSas it is specifically designed for heavy lifting (up to 150 tonnes at22 meters). 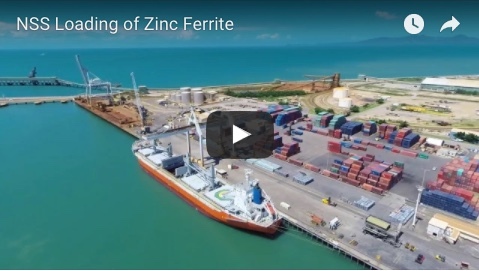 Also, due to its twin-lift container spreader and large 18 cbm grab it will significantly improve overall general stevedoring productivity in Gladstone. 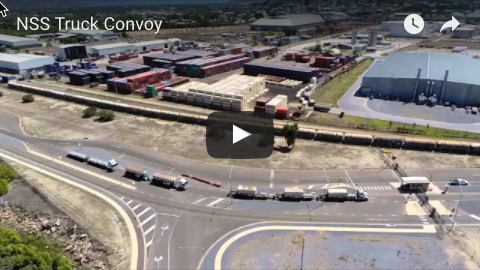 The LHM 550 Litronicwill couple with NSS' 3.3ha QAP1.1 port terminal, our professional, experienced workforce and our streamlined local road transport capabilities to provide integrated stevedoring, storage, transport and logistics services for Gladstone. A momentous development for the Port of Gladstone this acquisition marks an exhilarating start to 2012 for NSS, as we aim to continuously develop the efficiency and effectiveness of our services in the region. With current port expansion underway at Gladstone, NSS is set to spearhead further growth. This addition of the LHM 550 Litronic to the Port combined with recent developments at NSS firmly demonstrate our dedication to supporting growth, bolstering employment and actively contributing to the local Queensland economy. With these key development factors in mind there is little doubt that NSS have the support of regional Queenslanders.